When: October 6, 2018, Saturday 2-4 PM (But it usually extends to 6 PM due to the many questions from the audience)! If you’ve been “googling” online Forex trading, started self-studying, and still confused, this class is for you! You will understand important jargon like Floating Currencies, Non-Floating currencies, Pips, Pipettes, Lots, going Long, selling Short, Stops, Limits, T/P, Risk to Reward Ratios and so much more. You will also learn how to place Demo trades with pretend money to see how trading Forex online works with simple, easy to follow instructions. But more importantly, this session will answer the most important question: “Is Forex Trading For Me?” which means, you will understand what Forex really is, without sugar coating, how much you can make, how much you can lose, and what it takes to last in this Market. 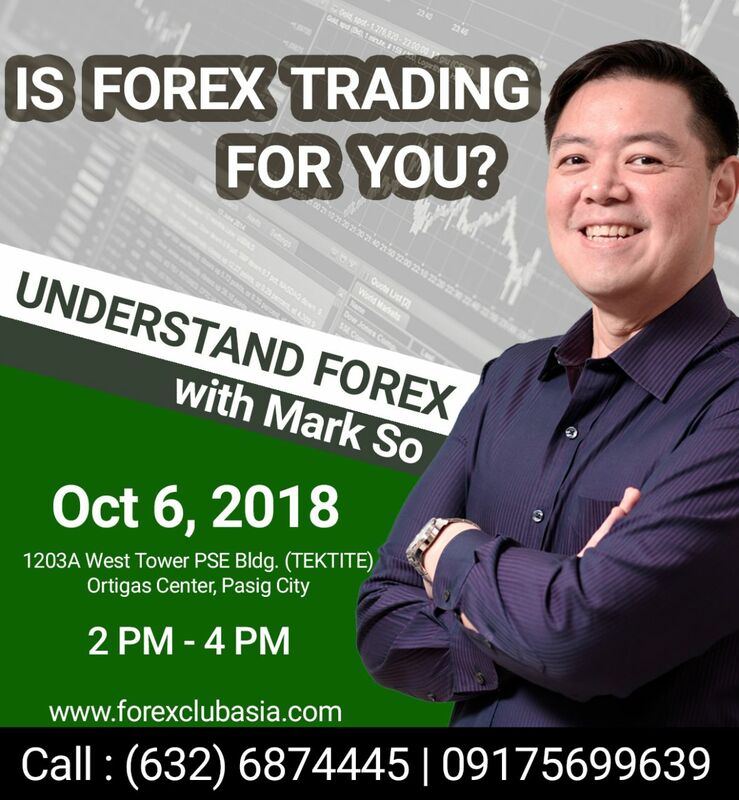 Learn from Mark So, the most respected Forex trading authority in the Philippines and finally learn Forex properly. Only $10 which is less than 1/5th the price of your kid’s school text book. Holy crap, those academic text books are expensive right? But we digress, for the amount of info and clarity this seminar will bring, $10 is a super duper awesome price. But wait…There’s more! (Hahaha), if you enroll in this class, you get the online version for free as well for 1 whole year! When you purchase this for 10 measly US Dollars or roughly 500 Philippine Pesos, you will be instantly given a special login and password to the membership area to watch 12 super informative videos to get you started right away. This button and the other one above are the same. Please note that all payment transactions will be handled by our parent company, Businessmaker Academy. When you click on the “Buy Now” Button you will be directed to the Businessmaker Academy Check out page. Finally, once you purchase, please update your contact information so we can immediately notify you of updates, schedule changes, and other cool stuff. Please check your inbox for email instructions. Haven’t received it yet? Fill up the form below so we can help you out. *Please note that by signing up, you agree that FXCM will also be provided your contact details so they can help process your Free Demo Account.